The United States and Russia want Syria to ship its deadly chemical agents out of the country by the end of the year but expect a mid-2014 target for their final destruction to be missed, according to a draft document. The document, a copy of which was seen by Reuters, calls for most chemical materials to be removed from the country in under eight weeks, by Dec. 31, and for remaining chemical weapons facilities to be destroyed by the beginning of March. Final destruction of all toxic material by the end of next year, as stated in the draft, would be six months beyond the date originally set for Syria to complete the "elimination" of all chemical weapons material. However, if that material were no longer inside Syria, governments seem unlikely to quibble. This comes after Russia's Foreign Ministry said Syria's main Western-backed opposition group is refusing to participate in talks in Moscow. Ministry spokesman Alexander Lukashevich said Friday that the Syrian National Coalition is "blocking and refusing to participate" in the talks, which would focus on resolving the humanitarian crisis in Syria. Deputy Foreign Minister Mikhail Bogdanov earlier said that the opposition had "responded positively" to the proposal. Russian officials had hoped the talks would bolster prospects for a proposed peace conference the U.S. and Russia are trying to convene in Geneva. Forces loyal to President Bashar al-Assad backed by a dawn barrage of artillery fire and airstrikes drove Syrian rebels from a strategic military base near the disputed northern city of Aleppo on Friday, a local photographer said. The advance into Base 80, a large military position which rebels have held since February, will help Assad's forces move towards rebel-held areas of Aleppo city and follows a string of successful offensives this month. A photographer who supplies pictures to Reuters arrived at the scene about 1 km (0.6 miles) from the base at dawn and said he saw around two dozen airstrikes and artillery hit insurgent positions. Rebels from Liwa al-Tawid, the largest insurgent force in Aleppo, told him that their unit as well as dozens of others had been pushed out of most parts of the base but were regrouping to retake the area, next to Aleppo International Airport, which is still under government control. Rebels told him 25 of their fighters had died. 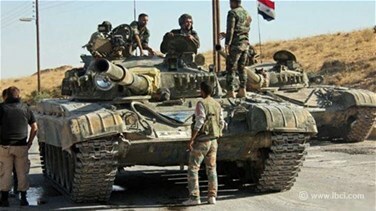 A monitoring group that uses a network of pro- and anti-Assad sources said that the offensive was aided by the Lebanese Shi'ite group Hezbollah and pro-Assad militia. The Syrian Observatory for Human Rights said that hard-line Islamist rebel units linked to al Qaeda also took part in the clashes, which it said killed at least 15 rebels and several pro-Assad militants. State media did not mention the offensive.